Latest 2017 result from Spring Barley trial shows ‘NH Delta Ca’ plus XStress increases yield by over 10% and increases nitrogen use efficiency by 20%. A field trial conducted by independent research company NDSM Limited, has shown that a programme of 4 applications of NH DeltaCa plus XStress can increase yield and improve nitrogen efficiency when compared to standard farm practice. NH DeltaCa is a highly efficient form of nitrogen that can replace or supplement standard forms of nitrogen. XStress is a highly advanced mixture of micro-nutrients designed to alleviate plant stress and to optimise plant health. 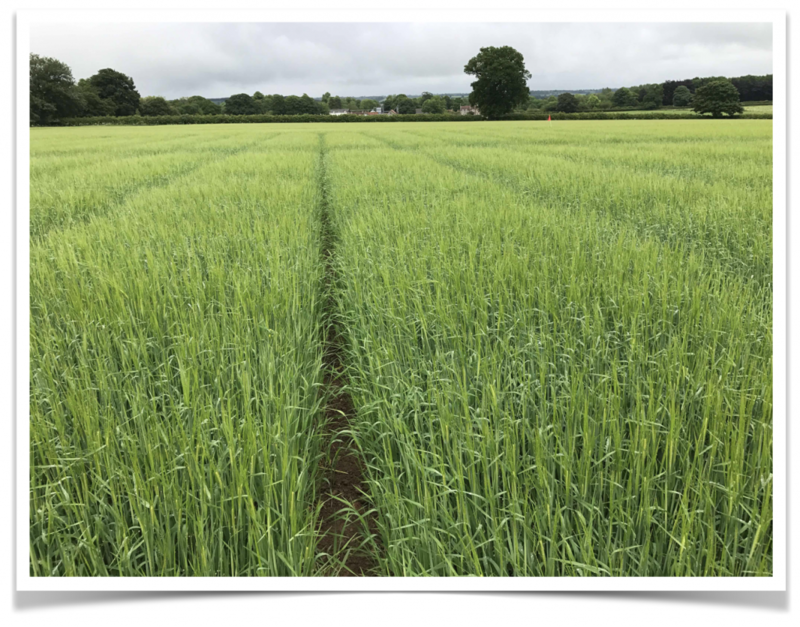 The fully replicated trial was conducted in Yorkshire using Propino Spring Barley, drilled on the 21st March 2017 at a seed rate of 230kg/ha. A full standard programme of agronomic inputs was followed to maximise yield and to control mildew and net blotch. The standard programme used 120kg nitrogen /ha (ammonium nitrate), applied in a split at drilling and GS12. As a comparison, NHCa Delta plus XStress was applied 4 times at a rate of 5 litres plus 1 litre /ha (2 leaf stage, tillering, stem extension and flag leaf) in addition to the standard programme. Yield increased from 7.9 t/ha in the standard to 8.6 t/ha in the treated plot an increase of 10.3 %. Comparatively the total amount of nitrogen applied was an increase of 3.9 kg N / ha. The results which were statistically significant (P=0.05) confirm previous trial data that Delta plus XStress can improve yield through enhancing plant growth and improving plant health. A full spray programme is essential to achieve these results. One of the key benefits of using NH Delta Ca is to improve nitrogen efficiency and to increase yield. The flip side of this is that it is possible to reduce total nitrogen inputs, giving environmental and cost benefits, whilst maintaining yield. Within the trial the standard programme was compared to reducing the total nitrogen from 120 to 96 kg N / ha (a 20% reduction) with the addition of the NH Delta plus XStress programme (99.9 kg N / ha total). Although total amount of nitrogen applied to the crop was reduced by 20kg /ha the yield increased by a statistically significant 0.3 t/ha (5.2%). In terms of nitrogen efficiency that is an improvement from 15.2 kg N / tonne barley to 12.2 kg N / tonne barley (19.7% improvement).